Scrap Paper Scissors etc. : Attitude! You & Me........Enjoy Everyday Moments. 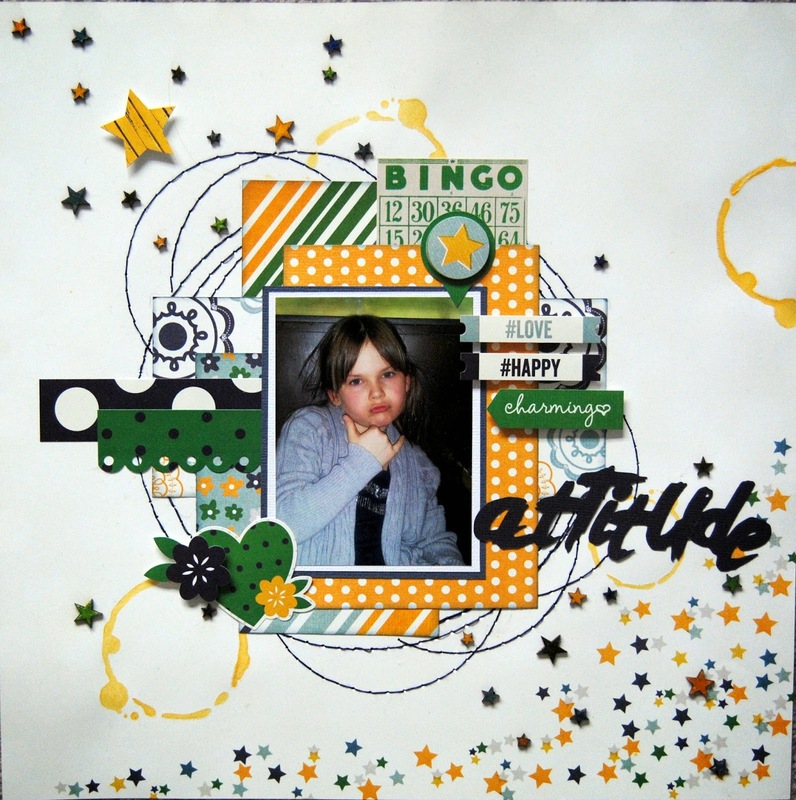 Well, what seemed like eons ago, I posted the first of 2 layouts from my Two Scrapbooks Friends DT Kit using the 'A Charmed Life' collection from Simple Stories. Finally, today I'm revealing the second. You can check out the first here if you wish as it's totally different to this one. However, I am loving today's layout. 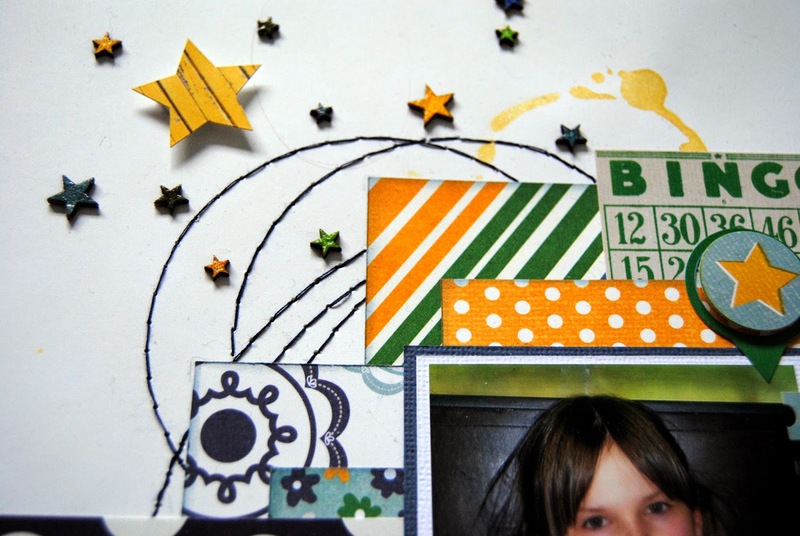 It's based around an older sketch from Scrap365 and I admit, I don't usually use sketches for DT work, but when I saw this background paper I sooo wanted to use it with the sketch. 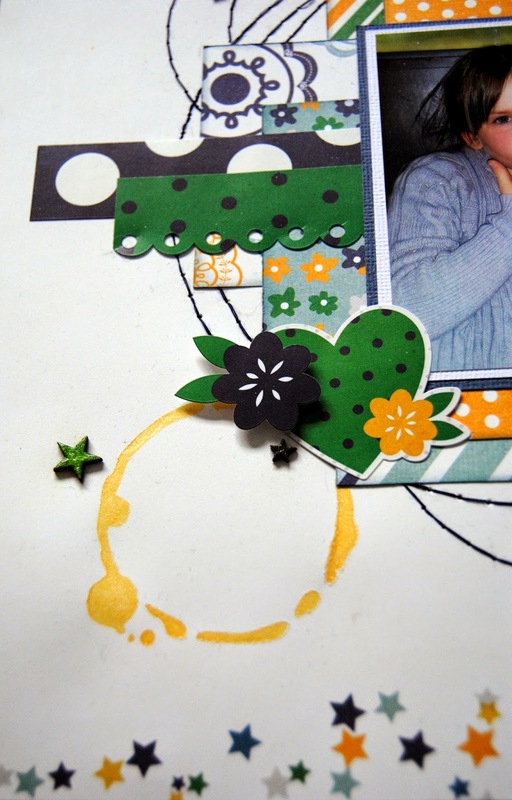 I cut a 'tea ring stain' stencil with my cameo and got to work on the background with some yellow Glimmer Mist. I wanted one of the main aspects of this layout to be lots of stitched circles......wish I had dug out the sewing machine though instead of stitching by hand! There are also plenty of stickers dotted here and there, as there's a co-ordinating sheet included in this collection. To continue the idea of a confetti of stars, I scattered wooden ones around too(coloured with Copic's and a layer of Glossy Accents). The title is also cut with my Cameo and a free font I downloaded from DaFont......Levi Rebrushed. So that's one collection finished! I'll be back on Monday hopefully with another layout from a new collection. If you happen to be attending Scrapfest this weekend I may see you there......stop by the TSF booth and say Hi! Oooh, I am loving this Jayne!! The stitched circles are awesome and the tea ring stains are fantastic!! Gorgeous page! 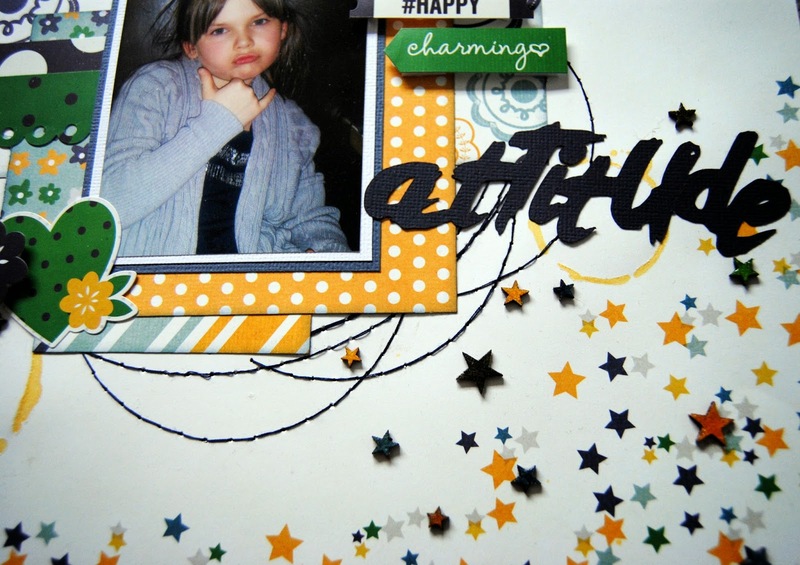 Cute of everything "attitude" Love your title! (Saw you at Scrapfest but never got your eyes... :( so HELLO!!! !